Is Physical Appearance Important When It Comes to Dating? Here's LizQuen to answer that question! Does love at first sight really work? Is it true that when you look at someone, you immediately feel that ~*spark*~? Or is love at first sight just really a sugarcoated term for being physically attracted to someone? Honestly, we think it's the latter. And one of our favorite couples feels the same way, too. 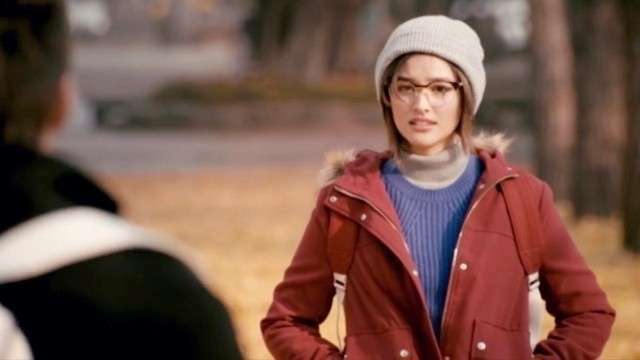 During the digital media conference for My Ex and Whys, the remarkable love team of Liza Soberano and Enrique Gil were asked, "When you're looking for somebody to fall in love with, gaano ka-importante sa inyo ang looks?" Enrique was quick to answer, "It's not everything; it's not the main thing. Pero malaking factor din siya." He then explained that when you wake up every morning, of course, you would want to wake up beside a good-looking person, right? Liza agrees with Enrique's answer and said, "You can't just have a crush on somebody nang biglaan. Syempre sa itsura naman talaga 'yung reason kung bakit ka nagkakagusto sa isang tao sa una." And then she added that when you get to know the person, his (or her) looks won't matter anymore which we couldn't agree more with. You can meet someone who looks like Song Joong Ki or Harry Styles, but if his personality is as stinky as Buzz McCallister from Home Alone, why bother dating him? Don't be disappointed with yourself if you like someone just because they're good looking. Realistically speaking, you won't have a crush with someone if you don't find them attractive, right? And of course, attraction has a big role when it comes to dating because it will make your butterflies (or kilig feels) stay longer. But that's not all there is to know. As time goes by, once you get to know the person, his personality becomes his looks. And that's honestly the beauty of being in a relationship.